Jennifer Gunter King will serve as the new director of Emory’s world-renowned Stuart A. Rose Manuscript, Archives and Rare Book Library, starting Oct. 15. Emory’s Stuart A. 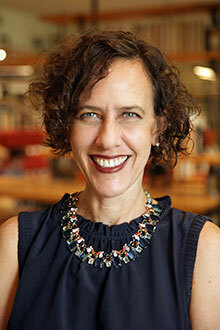 Rose Manuscript, Archives, and Rare Book Library has named Jennifer Gunter King as its new director. She will start Oct. 15. King is currently the director of the Library and Knowledge Commons at Hampshire College in Amherst, Massachusetts. Prior to joining Hampshire, King was director of Archives and Special Collections at Mount Holyoke College, where she initiated programs including an online digital archive, electronic records archiving and campus-wide exhibitions and programming. She previously held positions in special collections at Virginia Tech University Libraries and the University of Virginia. “I am very excited to join Emory University as director of the Rose Library. The extraordinary staff and collections play a vital role in advancing Emory’s mission ‘to create, preserve, teach and apply knowledge in the service of humanity,’” King says. King earned her BA in history from the University of Maryland Baltimore County, and her MA in history and MLS with an archives concentration from the University of Maryland. Her interests include 21st century library design, advancing the accessibility of archival resources and pursuing opportunities for collaboration between libraries, archives and museums. The Stuart A. Rose Manuscript, Archives and Rare Book Library collects and connects stories of human experience, promotes access and learning, and offers opportunities for dialogue for all wise hearts who seek knowledge. At the Rose Library, located in the Woodruff Library building of Emory University, students, scholars and other visitors can browse rare books, read original letters and manuscripts, and listen to rare recordings. The Rose Library’s renowned collections span more than 800 years of human history — with particular depth in modern literature, African American history, Emory University history and the history of Georgia and the South. To learn more, visit rose.library.emory.edu.